Your kitchens are waiting for you to try yet another traditional Spanish dish, are you ready? So far we’ve covered Tortilla de Patatas and Paella. 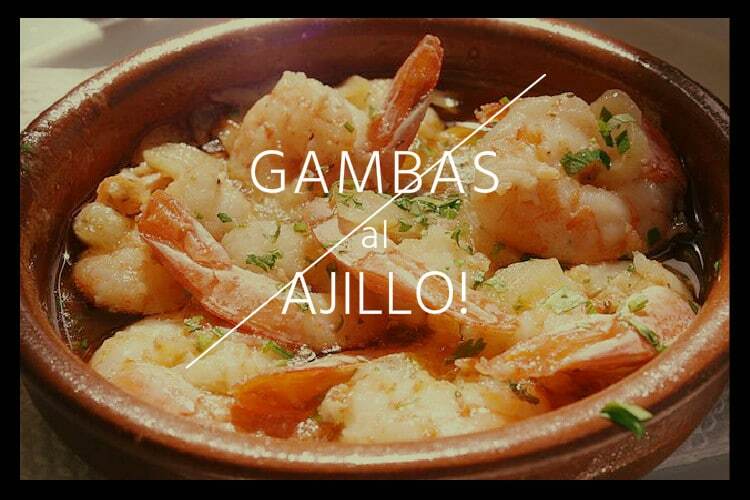 This week we will be learning the delicious Gambas al Ajillo! So put on your apron and get out your frying pan, lets get started! As with the rest of our Spanish Kitchen series, Gambas al Ajillo – or Garlic Shrimp – is a very typical tapa that can be found virtually every where. The dish is so popular infact, that many people eat it as an entire meal (racion)! The origin of Gambas al Ajillo isn’t exactly known but, it is said to be most common in the south and centre of Spain. Garlic shrimp is very easy to make and you can experiment with whatever spices and additional flavours you’d like! The recipe below is the basic traditional recipe that you will often find in tapas bars, feel free to change or add anything you wish! Heat about 4 tablespoons of olive oil in a pan, on medium heat. Prepare 4-6 garlic cloves – you can chop thin slices, small minced pieces or keep them whole. Add to the pan. This is where you can get creative: Some recipes suggest chili peppers, sweet peppers, mushrooms. Or you can stick to the original and add nothing! Remove the shells from the shrimp and add to the mixture to the pan. Once all of the ingredients are nicely mixed, you can add some lemon juice or even white wine if you prefer (but only 1 teaspoon or so)! Cook for another 3 minutes and don’t forget to stir the mixture so everything cooks evenly. Turn the heat off, stir one more time and let it sit for about 1 minute. Top it off with some salt, pepper and parsley.